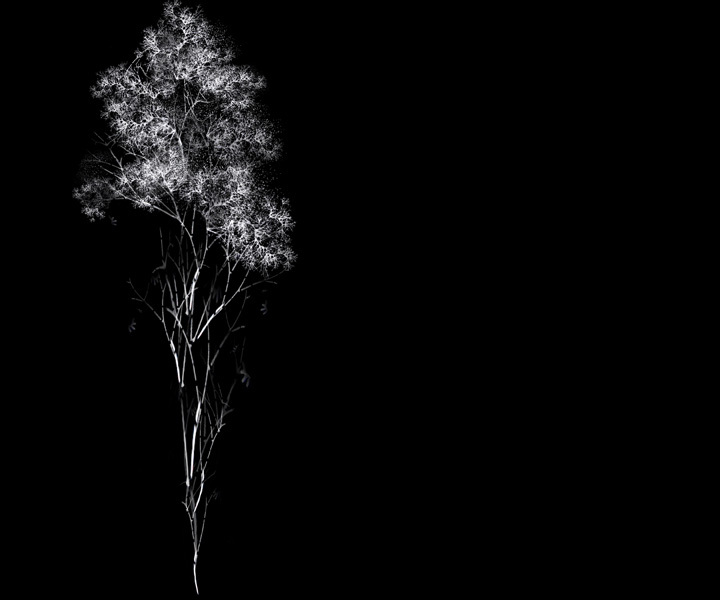 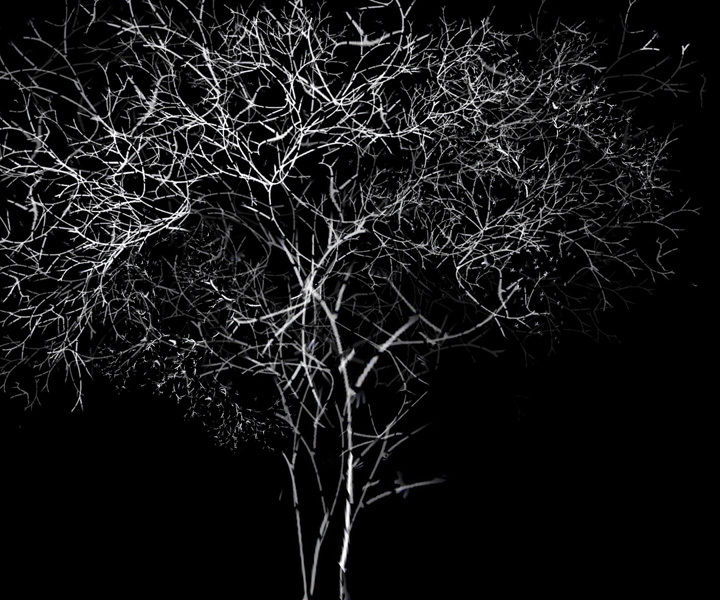 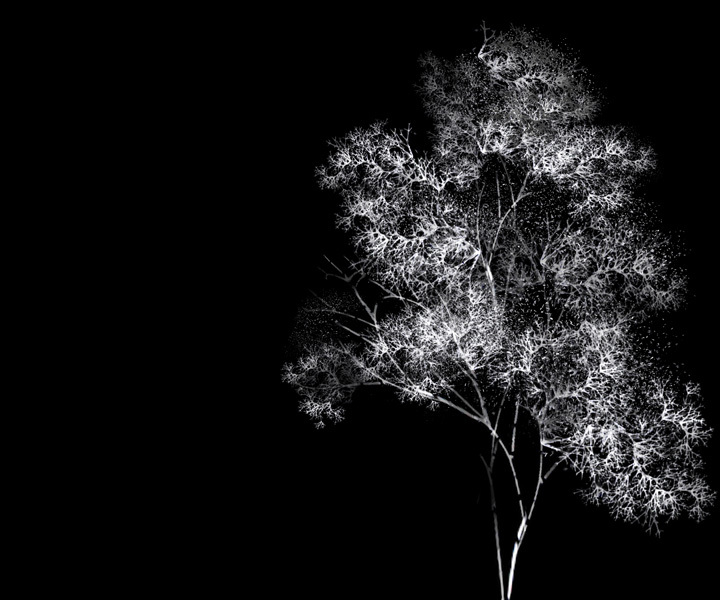 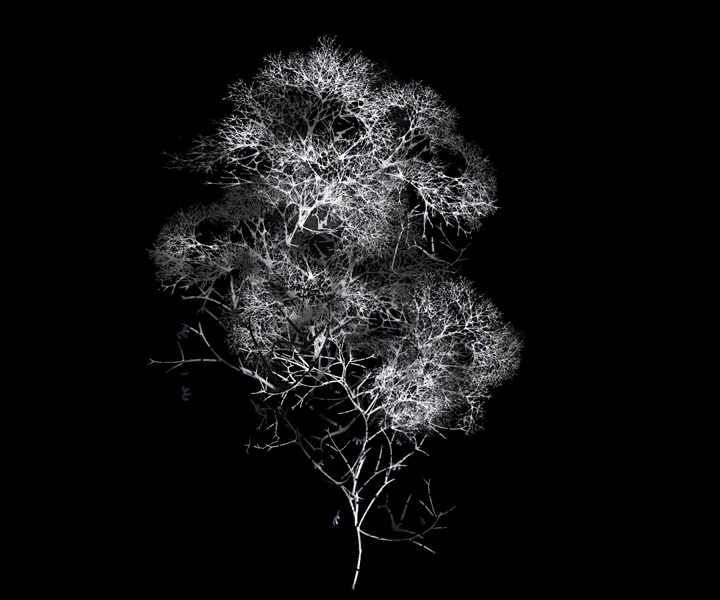 Arboreal is the title for both a video and a set of 20 prints. 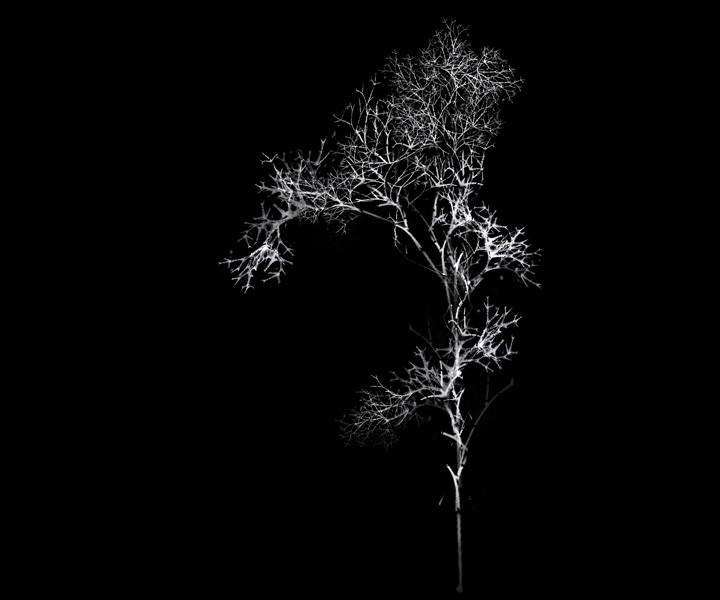 The works are related yet distinct. 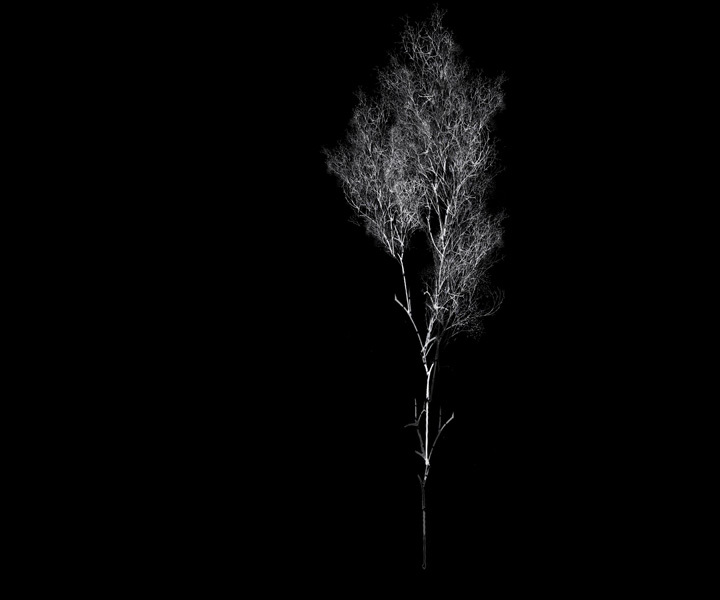 Both began with an exploration of L-systems or the Lindenmayer system, a formal grammar most famously used to model the growth processes of plant development, introduced and developed in 1968 by the Hungarian theoretical biologist and botanist Aristid Lindenmayer. 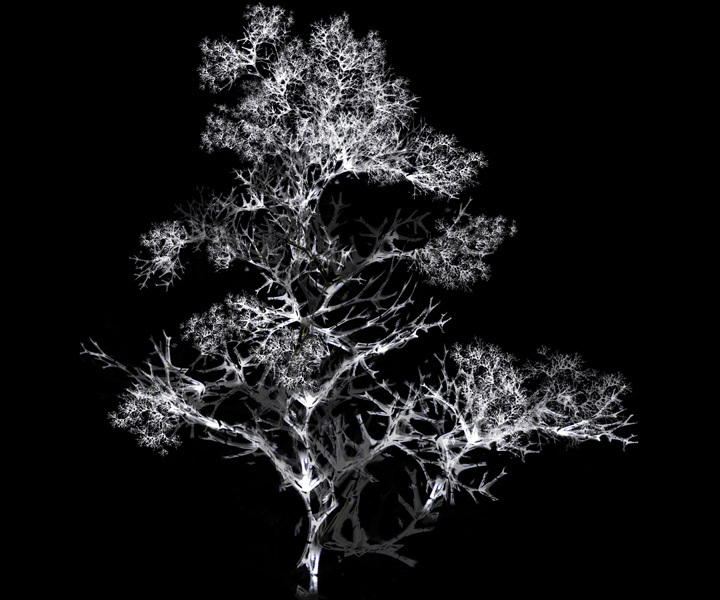 L-System rules are recursive in nature which in turn leads to self-similarity and thereby fractal like forms that mimic branching patterns in the natural world. 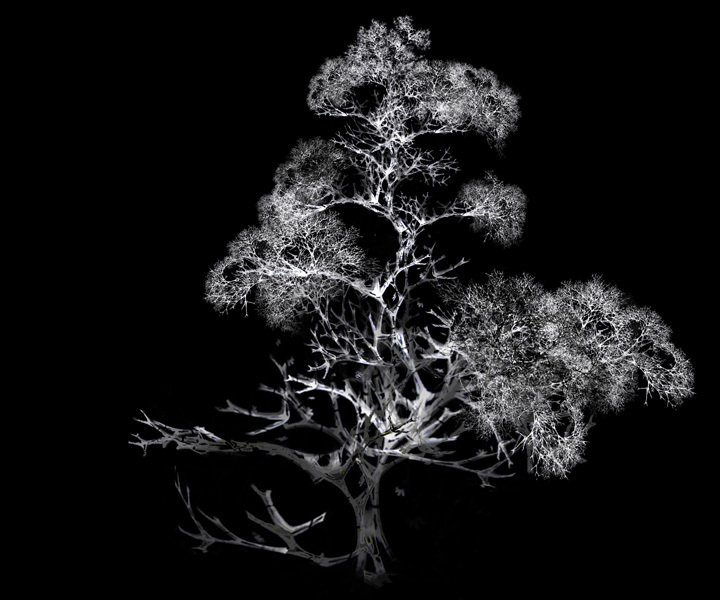 Arboreal or ‘relating to or resembling a tree.’ however is not modeled on any algorithms or programs. 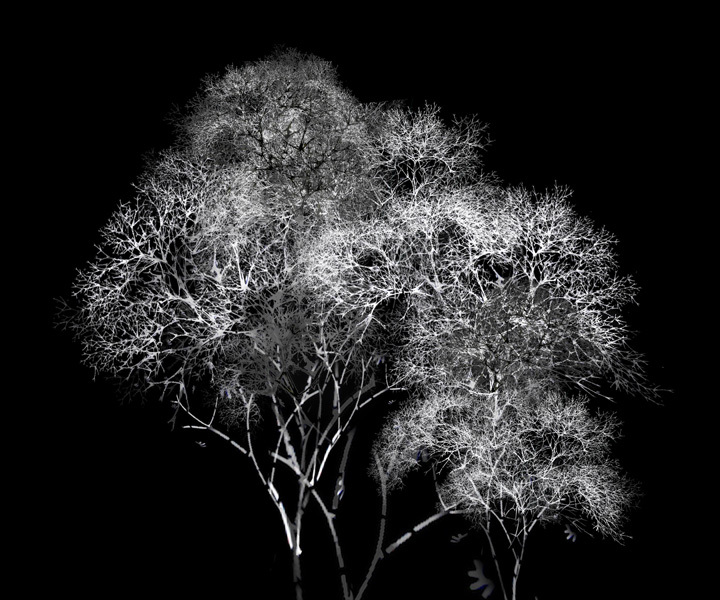 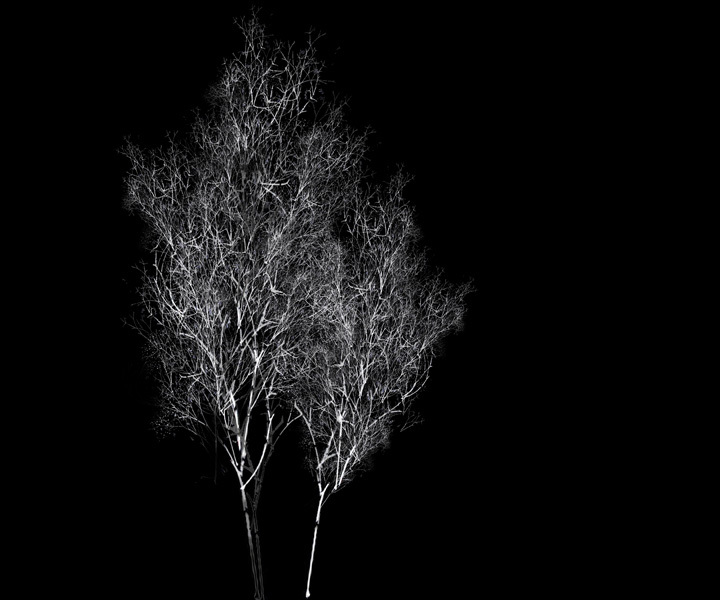 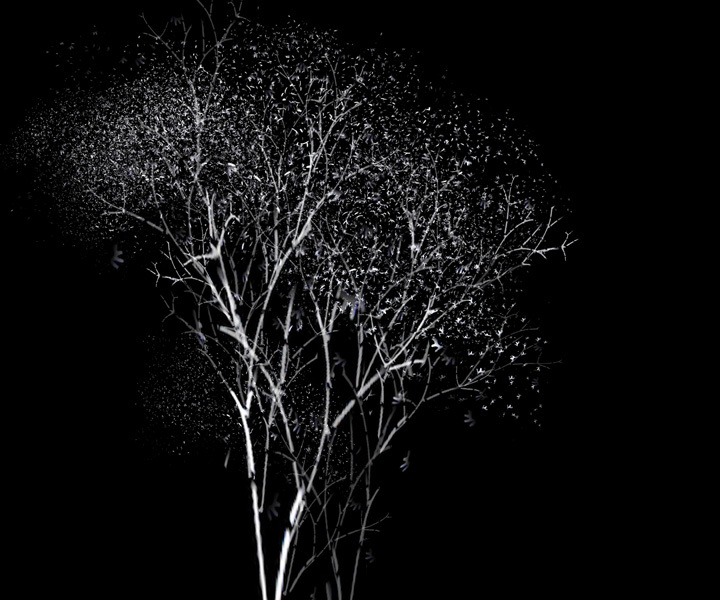 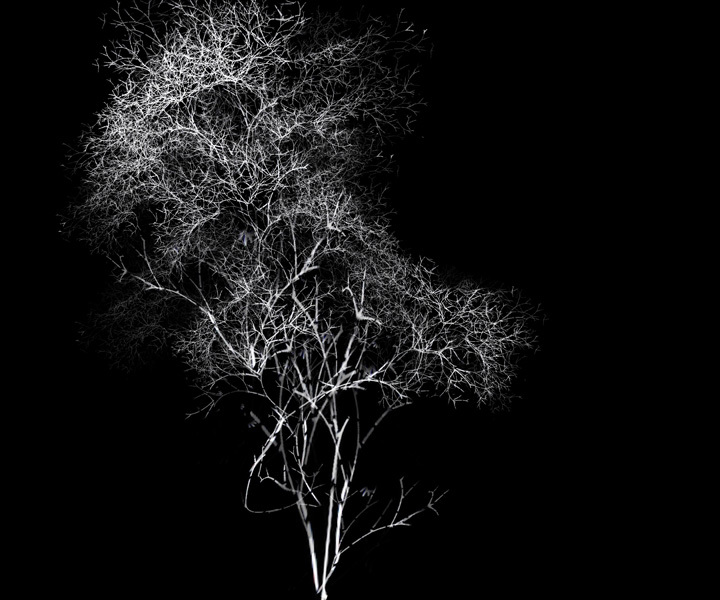 Via a deeply intuitive process, the a successive set of trees is constructed through the gradual manual layering of more than 700 individual layers of video, within a video editing software. 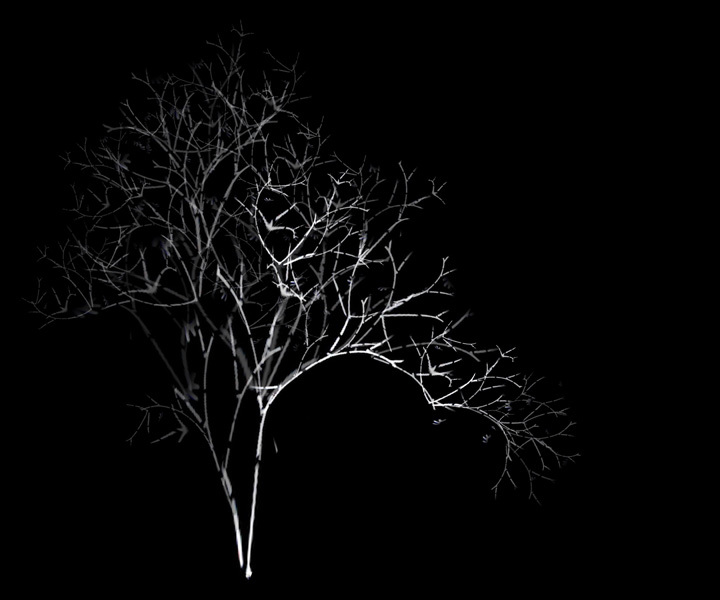 By gradually increasing the recursion level the form slowly ‘grows’ and becomes more complex, engulfing the space. 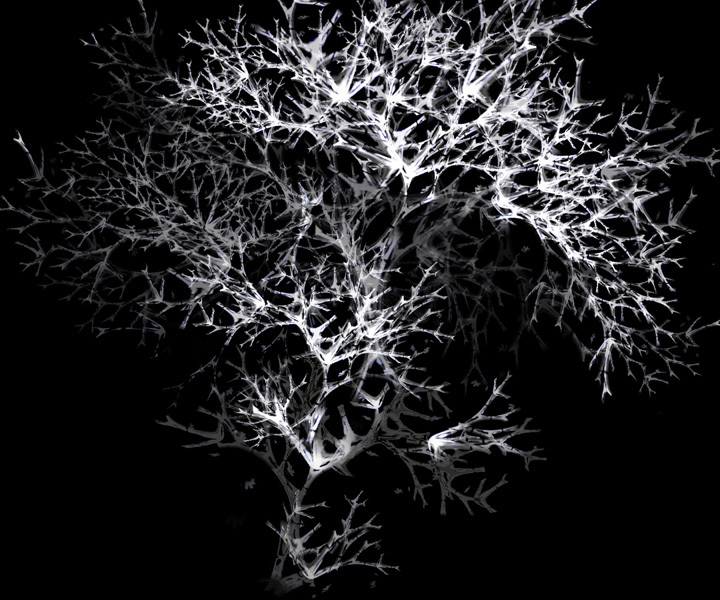 The 20 Arboreal prints are quite distinct from the video Arboreal. 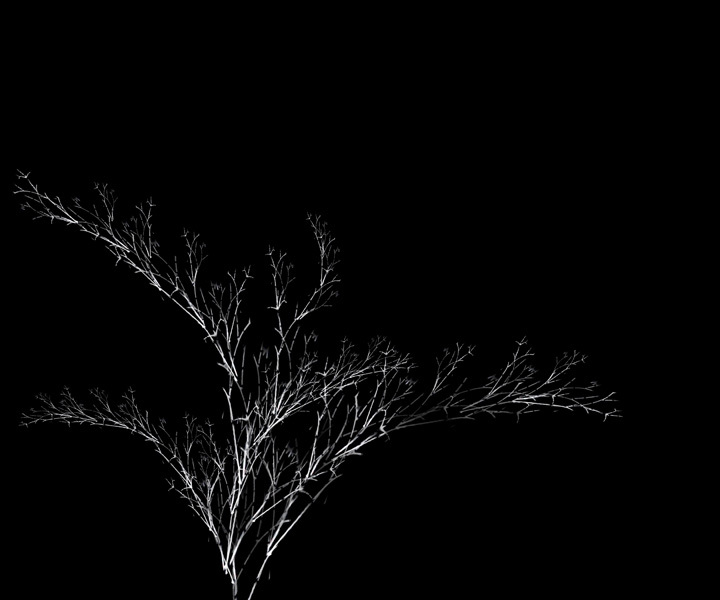 They are not still frames of the video but rather a window to other possibilities. 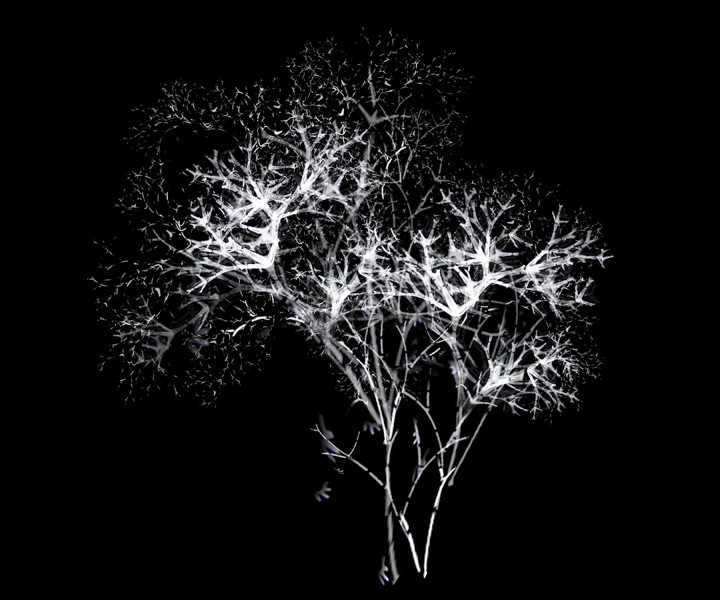 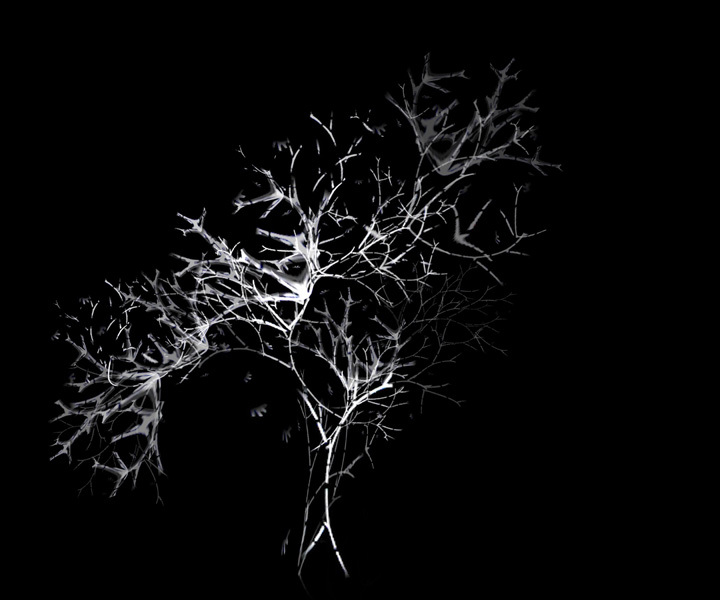 One might look at the Arboreal video as a sort of archetype or ideal tree, but there are hundreds of tree forms that could also have been created using the same processes and raw footage. 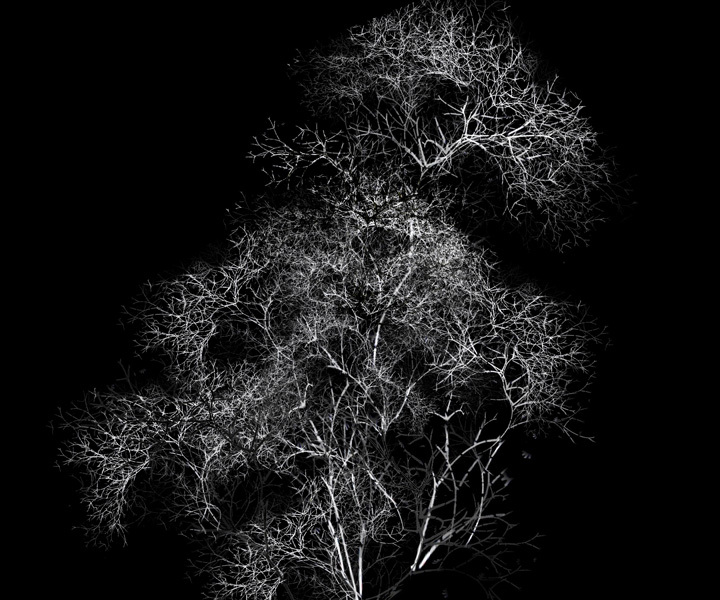 The Arboreal prints are those trees, each one a stage in the generation of the next. 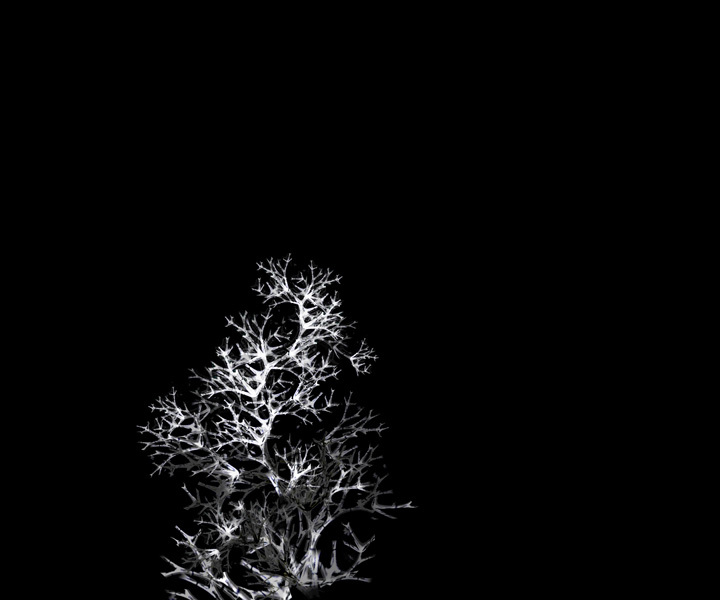 Once again these are generated by the layering of selected still frames of video-feedback footage, stacked one on top of the other. 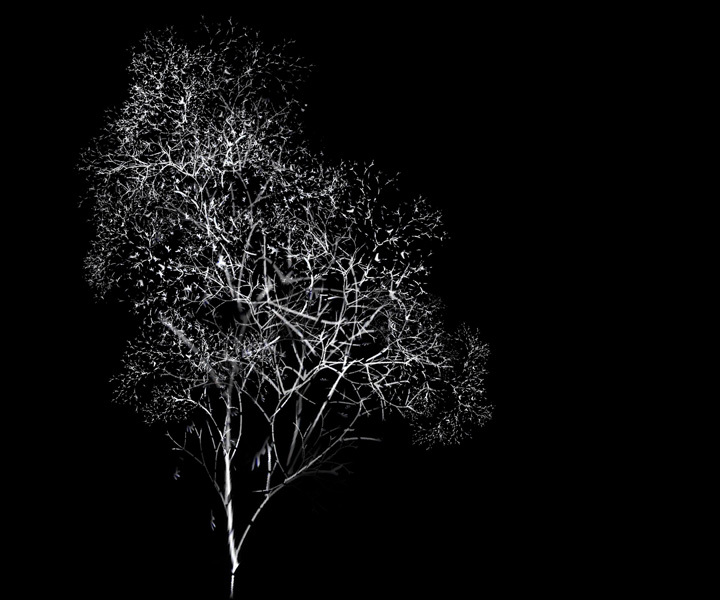 What results is a digital forest, a greenhouse of possibilities.